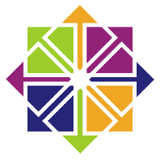 CentOS, say it isn't so! Having just done the minimal install of CentOS 7 as a VM, I wanted to install VMware tools. I thought I installed all the prerequisites when the script halted at "Setup is unable to find the "ifconfig" program on your machine." BTW, don't be surprised if Fedora and RHEL (and it's other offspring) are missing ifconfig as well.